YOU can take the boy out of the bush but you can't take him out of the saddle. 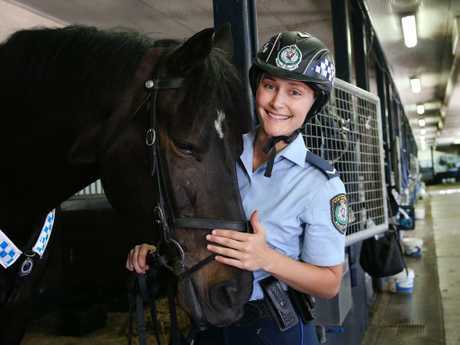 Chris Stiles has gone from stock riding on his parents' cattle and dairy farm to head of NSW's "Mounties", the world's oldest continuous mounted police unit. 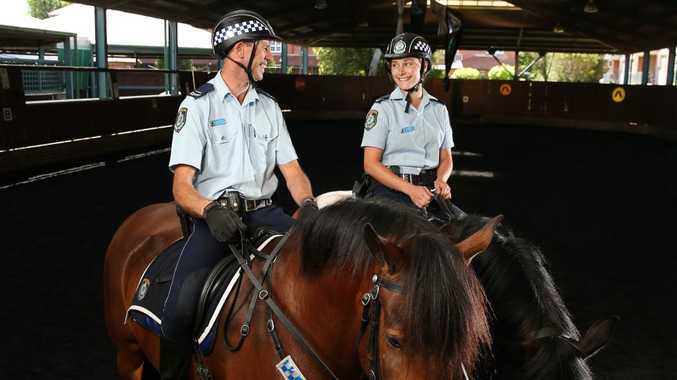 "The riding instruction in those days from my dad was 'don't fall off', whereas today the riders are highly trained and skilled," Chief Inspector Stiles, 61, said yesterday. 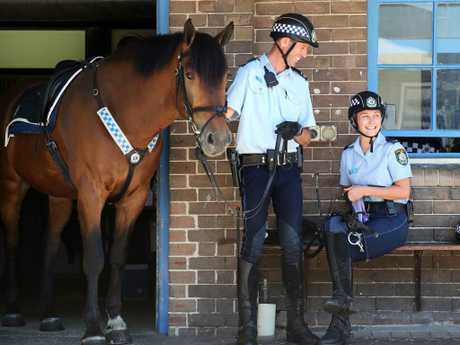 While the NSW Police Force's patrol cars are full of the latest technology, walking into the Mounted Unit's stables at Redfern it is like entering a zone where time has stood still. 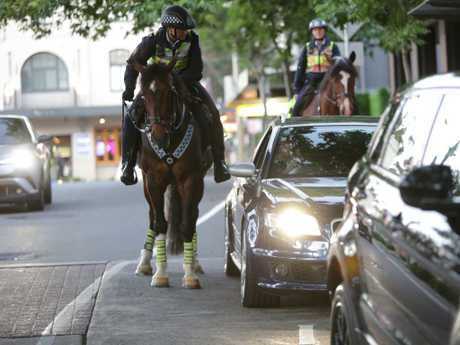 The only hi-tech things around here are body-worn video cameras and MobiPol, mobile phones with built-in GPS so the horses and riders can be tracked during riot and crowd-control operations. There's still the grooming and mucking out to do by hand for the 34 horses. 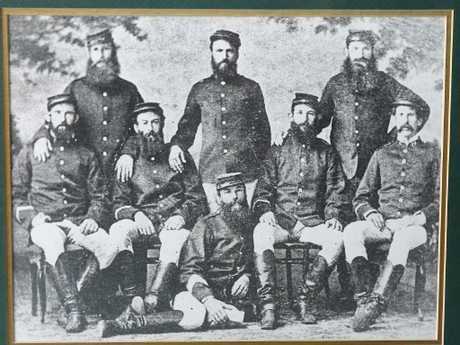 The iconic unit was formed in 1825 to hunt down bushrangers. 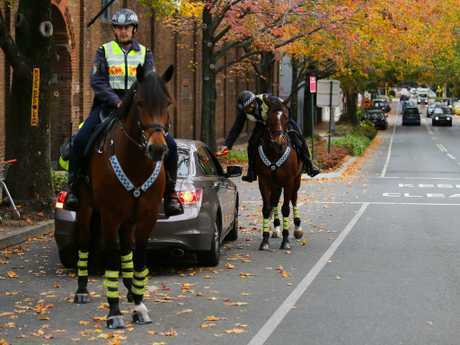 It was founded three years before the London metropolitan police launched its mounted branch, and 38 years before the famous Canadian Mounties saddled up for the first time. Being its boss entails more than the day-to-day running of the unit. There is also its legacy and legend to protect. At its height, there were 800 Mounties with 900 horses stationed across the state riding out to capture crooks such as the infamous Captain Moonlite, aka Andrew Scott, who was caught after a shootout that killed one Mountie. Captain Moonlite was hanged at Darlinghurst Jail in 1880. 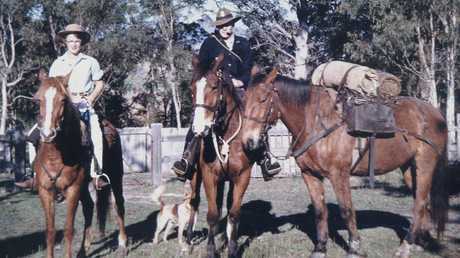 Insp Stiles admits he "absolutely" has a hankering for the romantic days when the Mounties went off with a pack saddle into the bush for a few days. The last officer to do that was Trooper Stewart Thompson, stationed at Bellbrook, who as late as 1961 was still heading out with his wife Joan and his dog to camp under the stars and search for missing stock. Mr Thompson is still telling his tales of the bush as a volunteer taking tours around the Redfern stables. For Insp Stiles, it's a dream job. He describes himself as a "shortie" as well as a "Mountie". 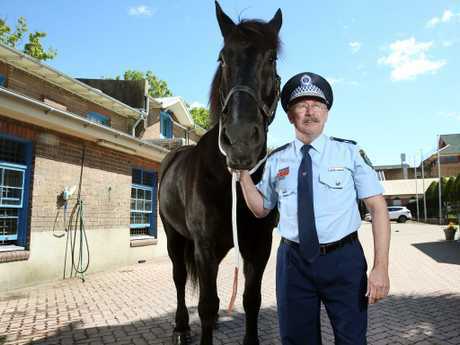 After studying dairy farming and horse management at Tocal Agricultural College, he was only able to join the police in 1987 - aged 29 - when the height restriction was reduced from 178cm. He was 170cm. "I had been working on the family dairy farm but I always had a desire to work in law enforcement," Insp Stiles said. 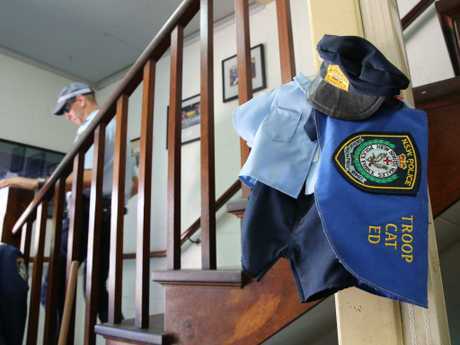 His career took him from Sutherland to Waverley and Walgett to looking after police in witness protection and back out to the bush at Moree where there were nine police stations in his region including two of the most isolated, Garah and Boomi, which were still one-person stations. At Moree he was the first officer to be given the Moree Murri Gaba Nginda Corroboree Award as the non-indigenous community member of the year. "I am only as good as the team," he said. At the Mounted Unit, he has the best of all worlds although he doesn't get to ride out with the troops, just around the stables. 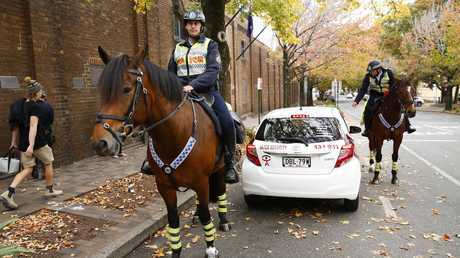 The Mounties' role was slowly reduced when cars came along and they were reduced to doing point duty. 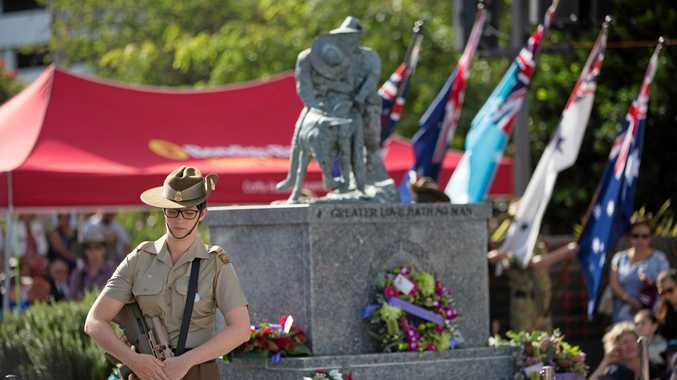 Today, the core functions carried out by mounted police officers including Chloe Green and Patrick Condon, are crowd control, ceremonial duties and community engagement. His favourite horse, Rommel, 800kg and 17 hands high, is always a crowd favourite. 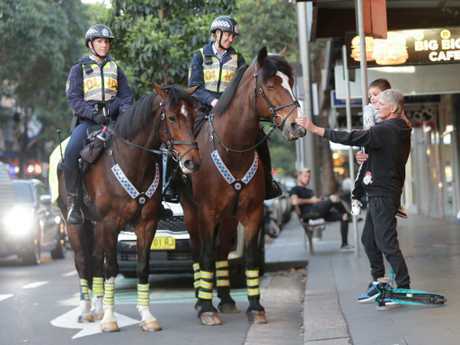 "People who wouldn't talk to a police officer will pat a police horse so they can break down barriers." Most of the horses are now tough Clydesdale crosses but they used to be thoroughbreds like 1978 Melbourne Cup winner Arwon. Insp Stiles said the Mounties do everything their fellow officers do, including stopping vehicles for RBTs - although they leave the chases to the patrol cars. Among the civilians helping out at the stables is Ed the cat, who was adopted as a stray. "He earns his way by keeping the rodents at bay," Insp Stiles said.